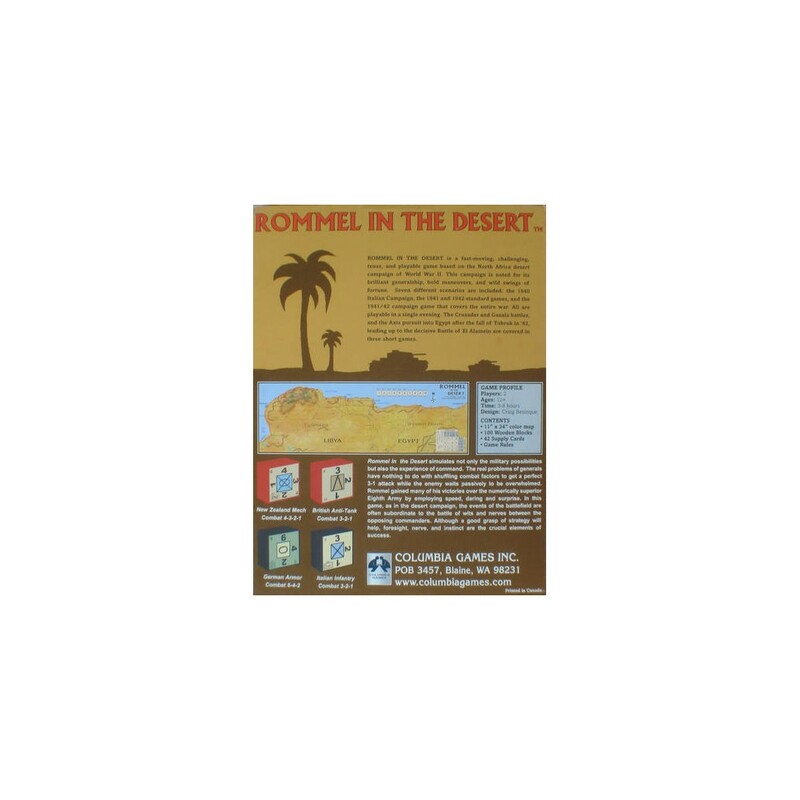 The new edition of the classic WWII North Africa Campaign wargame. 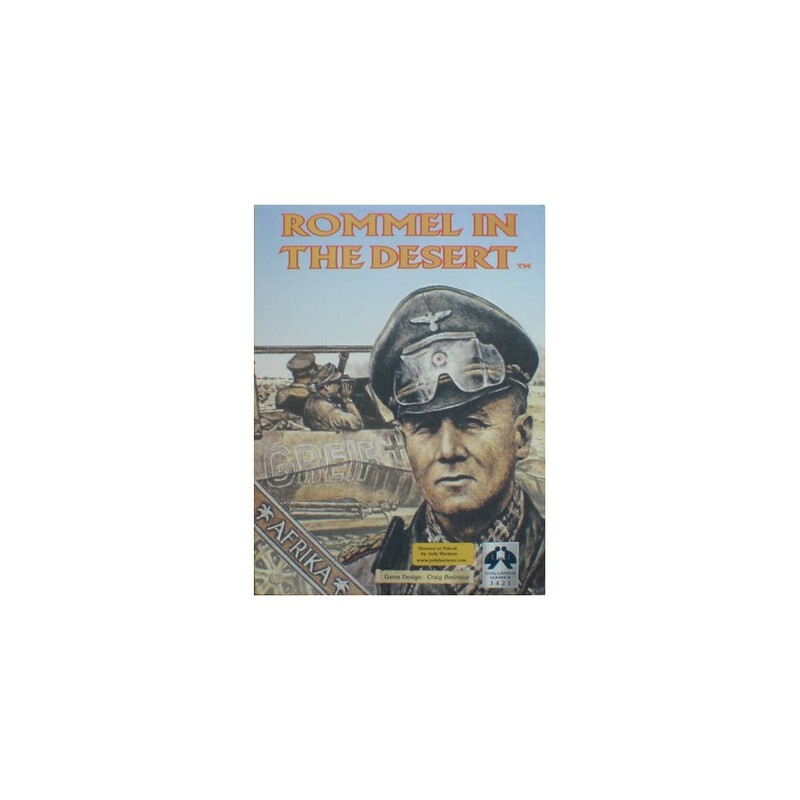 Rommel in the desert is a fast-moving, challenging, tense, and playable wargame based on the North Africa desert campaign of World War II. This campaign is noted for its brilliant generalship, bold maneuvers, and wild swings of fortune. Seven different scenarios are included: the 1940 Italian Campaign, the 1941 and 1942 standard games, and the 1941/42 campaign game that covers the entire war. All are playable in a single evening. The crusader and Gazala battles, and the Axis pursuit into Egypt after the fall of Tobruk in '42, leading up to the decisive Battle of El Alamein are covered in three short games. Très bon jeu, avec un système exigeant mais qui reste très accessible. Recommandé!